I don't know about you, but I am so done with 2016. One more week of work for me, and then I'm off until January. When I come back from my holiday vacation, I like to hit the ground running with my work. Everything is planned, organized and ready to go before that clock strikes twelve on New Year's Eve. Because of that early planning and prep work, the start of a new year is often my most productive writing time. Big things happen: new sites launch, others are overhauled, rates change, manuscripts get finished. Sometimes it feels like I do more in those first few months of a year than I do during the rest of the months combined. And I'd like that trend to continue. Wouldn't you like to see a similar boost in productivity? It's easy. It's all about preparation and getting excited now instead of waiting until January 1st. And here are five ways you can do that. Business plans and marketing plans aren't static documents. They'll change as your business does. For that to happen, you need to regularly review these documents. Did you meet the goals set for yourself previously? Did you stick to your marketing budget? Did you neglect promotional work you planned? It's a good idea to review business and marketing plans at least once per year. That gives you time to actually make progress (flip-flopping on plans too often is as bad as never updating them at all). So between now and the end of the year, make yearly planning a priority. Evaluate your progress. Set new goals. And come up with a strategy for reaching them. Don't have a business or marketing plan yet? You can use those templates as your only plan or, better yet, use them as a basis to build more detailed plans when you have more time. 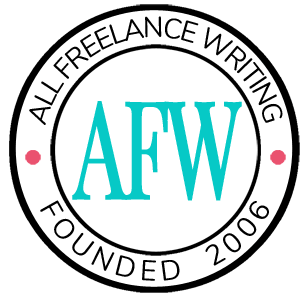 The end of the year is also a good time to think about freelance writing relationships and how much you're charging. Now might be the time to drop them. You won't have room in your schedule for better clients if you don't unload ones who are no longer a good fit. Kick 'em to the curb (politely of course -- you never know when that relationship could come in handy later). Or, at the very least, come up with a plan to replace them in the near future by marketing to a better target group. Don't forget to re-examine your freelance writing rates in general. Have you gained significant experience since you last raised your rates? Have you picked up new credentials like a relevant degree? Is demand far exceeding your available hours? If you can answer "yes" to any of those things, it's probably a good time to raise your rates. The calculator offers two modes. When you first visit the page, you'll see its simple mode. There you enter your target yearly earnings for the New Year, and it will calculate how much you need to charge per billable hour. If you don't have a yearly income goal in mind, but you'd like to figure out what you need to earn (and how much you need to charge) to meet expenses, paid time off, benefits, savings, and investment goals, use the advanced mode. Just click the link near the top of the calculator that says "Advanced Freelance Rate Calculator." 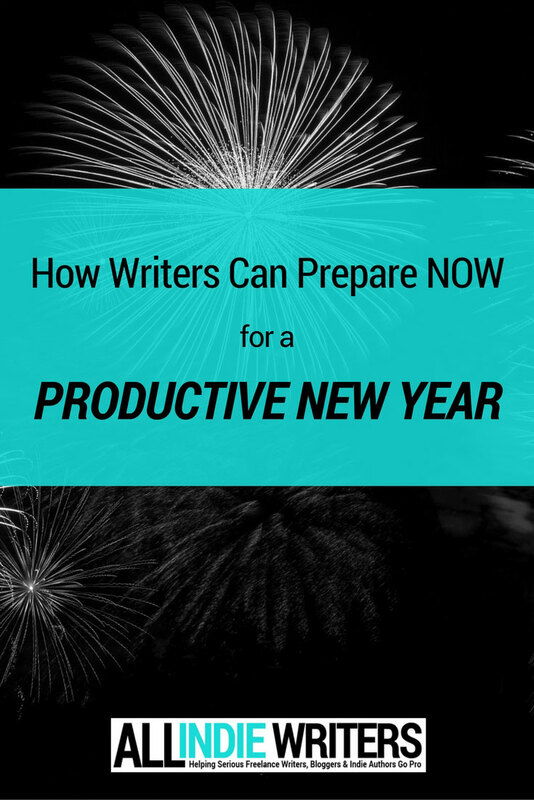 What writing projects will you invest time in during the New Year? Now is the time to figure that out. Have you been wanting to write a book? Brainstorm ideas and perhaps even outline that project. Then, in January, you'll be ready to run with your first draft. Are you running multiple blogs and one or more isn't pulling its weight financially? It might be time to let it go. Or perhaps your only blog isn't earning enough to be worth the time. Either re-think monetization options or consider taking a new approach (or even launching a completely new blog -- use my free one-page project planner to map out your ideas). If you're an indie author, this is also a good time to think about your long-term plans. Just this week, for example, I completely re-worked my 5-year publishing plan to get it in line with my changing overall business goals. One way to do this is to use Gantt charts. I'm a big fan of Tom's Planner. You don't know everything. I sure as heck don't know everything. None of us do. There's always room to learn and improve both as writers and as business owners. Take stock of what you know and what you know well. Then figure out where your weaknesses are. Come up with a reading list of books about writing, publishing, small business, or marketing. Sign up for a local business course. Take online business courses (you can find reputable free online courses and webinars from organizations like the U.S. Small Business Administration and SCORE). Join a writers' critique group (or find a critique partner you trust). Look for a coach or mentor (though be careful; some coaches and mentors do more harm than good). Subscribe to a few new blogs from industry leaders you want to learn from. Tip: "Popular" blogs are usually not the place to go for truly insightful content that will teach you something new. Once tips are there, they're long past their prime. You need to get ahead of the curve rather than riding the tail end like most people do. To do that, look instead to professional organizations, professors and researchers in your specialty area, or industry leaders who may not blog often but have a lot to say when they do. You can follow popular blogs too of course. But never limit yourself to them, and don't get so caught up in reading a large number of blogs that you leave no time to implement what you learn. You're not likely to do better next year if you only stick to what you already know, and have already done, this year. So make it a point to learn something new. And don't wait for learning opportunities to find you next year. Plan for them now. The end of the year is also a good time for evaluations all-around. Figure out what's working well for you, and figure out what isn't. Is your working environment a cluttered mess? Get organized. Are certain people draining your energy? Reconsider those relationships. Audit everything. Take a hard look at your life, your routine, your habits, your relationships, your schedule... all of it. And decide where you want, or need, to make changes in the coming year. A great example of a year-end audit would be a content audit for your blog, freelance writer website, or author website. Expanding content where it makes sense to do so (but remember, don't make your content longer just to make it longer). So go ahead. Give things a good look before the end of the year. Figure out what's worked well for you, and make plans to continue. And figure out what's failed you, and weed those things out. There's nothing more important to improving your productivity in the New Year than weeding out what wastes your time. How are you getting ready for the New Year? Leave a comment and let me know what you're doing this December to get ready for a more productive year writing, publishing, or running your freelance writing business. Superb content, as always, Jennifer. Thanks for the insight! Thanks for the comprehensive resource, I needed a kick in the pants since suddenly it’s January and I’m not sure what I’m doing or where I’m going. I just downloaded the biz and marketing plans, and appreciate the other helpful links too!